Gitzo tripods are top grade and well respected in the photography industry. They come with a lifetime warranty. Gitzo tripods are grouped by use, composition, and size. Tripod leg tubes can be made of carbon fiber, basalt fiber, or aluminum, and the series number indicates the largest tube diameter, going from 00 (smallest) to 5 (largest). 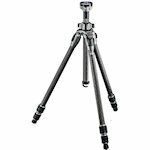 Gitzo Traveler tripods feature the unique 180° folding mechanism that accommodates the head inside the folded tripod legs, perfect for situations where space and weight are key factors. 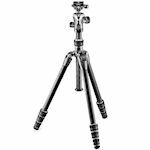 Traveler tripods are made with Gitzo's 6x carbon fiber leg tubes, and come in models with 3-, 4- or 5-section legs. 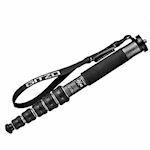 Gitzo offers a wide variety of monopod products in both aluminum and carbon fiber. Gitzo monopods all feature G-Lock, an ultra-rapid leg extension and deployment system for rapid set-up and take-down. The Anti Leg Rotation system has been upgraded and is lighter than its predecessors. Gitzo Mountaineer tripods were the world's first carbon fiber tripod legs, using Gitzo's 6x carbon fiber tube. Mountaineer tripods are a diverse set 4 series (0 - 4) of legs and kits, featuring 3- and 4-section legs with Gitzo's proprietary G-Lock system for leg extension.